So lately contouring and highlighting has became a massive thing, so I thought that I would share with you some great products and how to contour like a pro! So first of all the product I like to use the most is the NYX contour kit. In the uk it is sold in boots and online. It is £18.50 and contains eight different shades! The contour kit is great for all skin colours as it has a variety of shades. 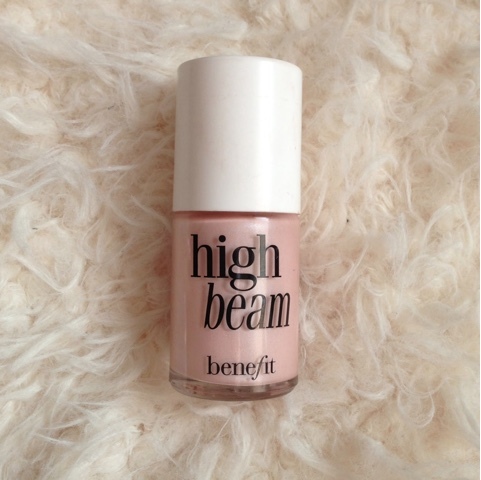 A great highlighter that I love to use is the benefit high beam. It is so soft and a little goes a long way with this product. It can be purchased for £19.50 in debenhams or boots. However if you can't afford these products then there are some dupes that are just as good as these more expensie brands. 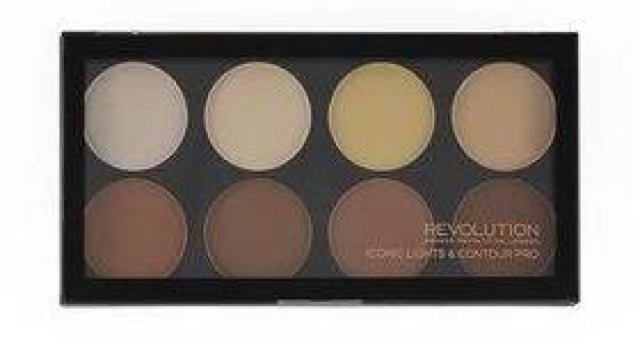 First of all a dupe for the NYX contour kit is the makeup revolution contour palette. It is £8 in superdrugs. 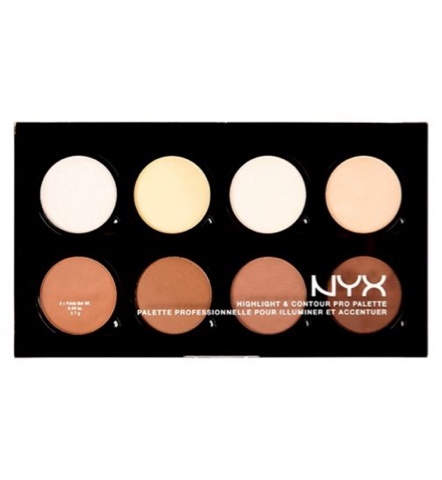 It also contains eight shades like the nyx contour kit. It is slightly smaller in size but the colours are identical! 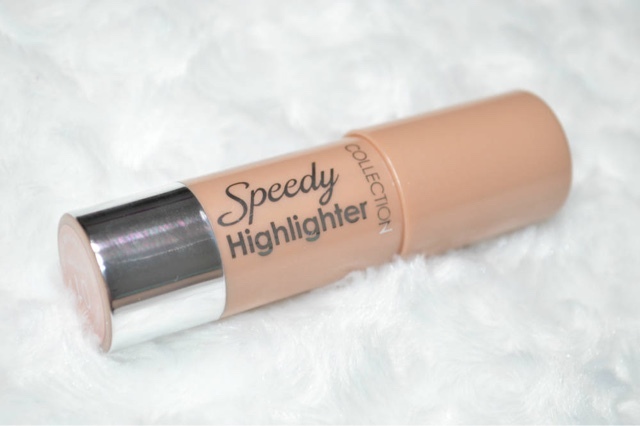 For a dupe highlighter for the benefit high beam I am in love with the collection speedy highlighter! It is £3.99 in superdrugs and it is super pigmented and looks exactly like the benefit high beam once applied. I would highly reccomend this highlighter because it is amazing. 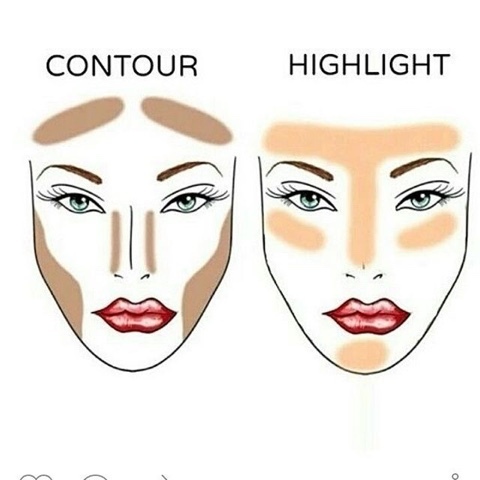 If you dont know where to apply the highlighter an contour then this diagram should help. The highlighter should be applied to the cheekbones , cupids bow and the forehead. The contour should be applied in the hollows of your cheeks. A tip for applying it correctly is taking the contour powder from the top of your ear down to the point of your outer eye.